Explore an alternative queer social experience in an alcohol and drug-free space. One hour of accessible yoga followed by an option to chat, gather and build community. Big Queer Yoga is a weekly yoga class that is open to anyone who identifies as LBGTQ+ and allies. $3-15 suggested donation, no one turned away due to lack of funds. Through intention and skillful means, we create an inclusive space for people to practice yoga and build community together. We work towards disrupting racist and colonial histories of yoga practice in the West. 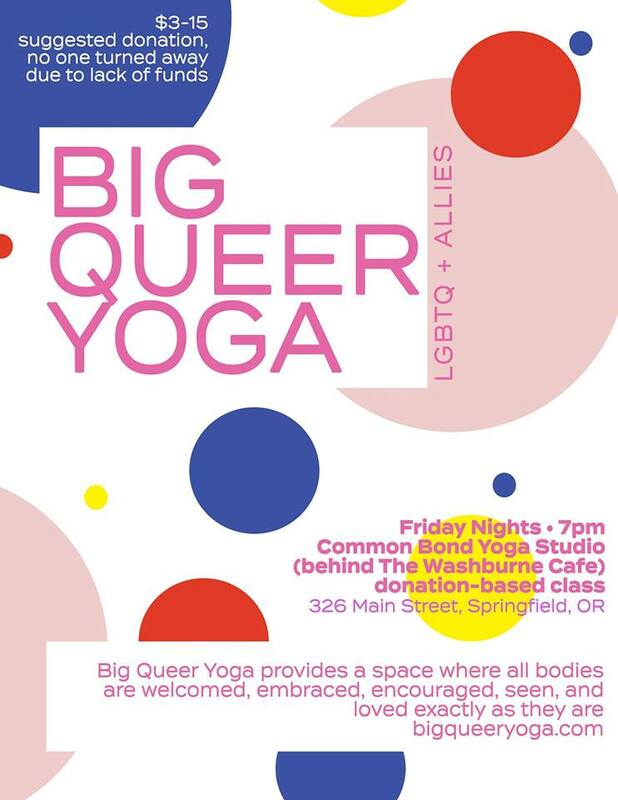 Big Queer Yoga provides a space where all bodies are welcome, embraced, encouraged, seen, and loved exactly as they are.